Alice and Whittles reinforces what we already know to be true: socially conscious products are beautiful, well-made, and have a huge positive impact that ripples through workers’ communities. 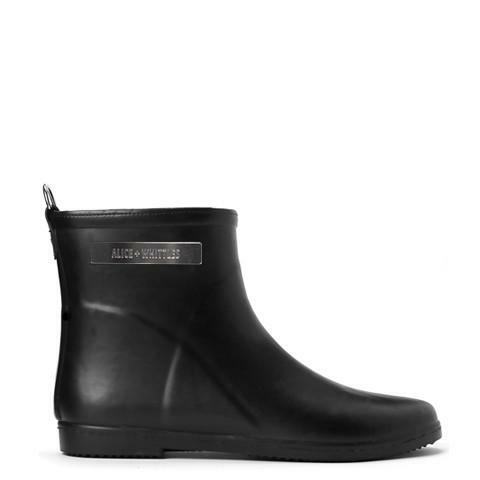 Their Black Ankle Rain Boots are gorgeous, long-lasting, and stylish for both men and women. Alice and Whittles was born from Sofi and Nicholas Horekens, a couple who met while working at the UN. They believed that starting a new company could be a long-lasting source of progress, and began by seeking a swiss company to design a fashion-forward, minimalist rubber boot. They are made by hand in Sri Lanka, and contain rubber only from FSC Certified rubber tree forests. Alice and Whittles not only provides fair wage jobs for workers and farmers, they also partner with the Fair Rubber Association to understand and provide what rubber workers need most in their community - a center with reliable internet, subsidized meals, discounted products for the home, options for insurance, and access to loans. Smitten and ready for rainy days..!